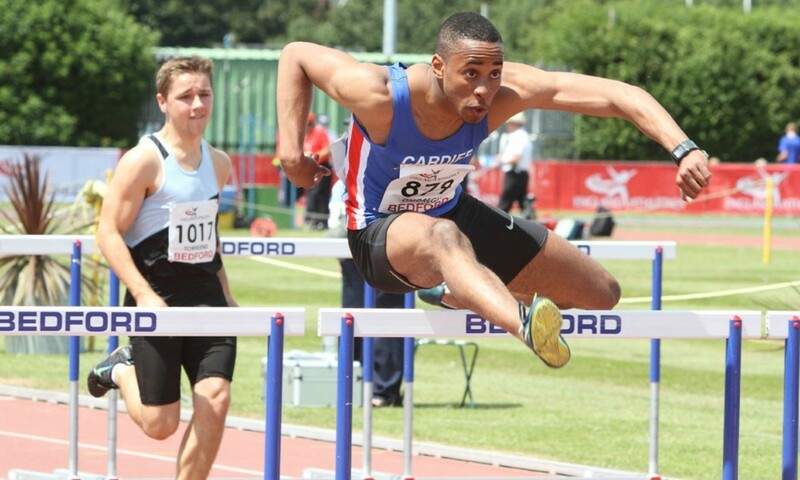 Warm, sunny and in the most part still conditions made for some scintillating performances on the second day of the England Athletics Under-20 and Under-23 Championships, which also doubled as the trials for the World Junior Championships. On a day when impressive sprint performances dominated, the undisputed highlight came from David Omoregie in the under-20 110m hurdles as he smashed the British and European junior records with an impressive 13.17 clocking to further strengthen his position as favourite to strike gold on the global stage next month. After winning the 100m in impressive fashion on the opening day, Dina Asher-Smith completed the sprint double by taking the 200m in a PB and championship record of 22.74. In fine form this year, last year’s European junior champion is another British athlete who could be in with a shot of global glory in Eugene next month. However, the 18-year-old is keen to keep her feet firmly on the ground when speaking of her aims for the rest of the season. She revealed: “My main aim had been to execute my races properly and secure qualification so I am delighted to do that in both sprints. I am so pleased with my times in both events and now I just want to keep fit and fast ahead of the World Juniors.” Asher-Smith’s training partner Shannon Hylton finished second, also in a world junior qualifying time, while Chereice Hylton won the 400m in a championship best of 53.56. Fellow Commonwealth Games-bound athlete Hayley McLean took an expected but nonetheless impressive under-23 400m hurdles title, stopping the clock at 56.74. Shona Richards was equally impressive in the junior event, securing her selection for Eugene with 57.61, while training partner Jacob Paul did likewise in the under-20 men’s equivalent, recording 51.90. Other athletes to book their seats on the plane to Eugene included Yasmin Miller in the 100m hurdles (13.62), Elliott Rutter in the 400m (46.39), Commonwealth Games heptathlon hopeful Morgan Lake in the long jump (6.11m), Thomas Somers in the 200m (21.20), Shaun Wyllie in the 1500m (3:50.55), Kyle Langford in the 800m (1:51.00) and Chris Kandu in the high jump (2.24m). At under-23 level, Asher-Smith’s Blackheath and Bromley clubmate Kieran Daly also completed the sprints double, after recording 21.07 for 200m to go with his European Championships 100m qualifying time from the opening day. Katarina Johnson-Thompson was back in action in the sprint hurdles, and although she recorded a PB of 13.41, she was outdipped by Lucy Hatton, who recorded a PB of 13.35. Sophie McKinna was the pick of the throwers, throwing 16.47m in the shot put to set a new CBP. Commonwealth Games-bound Scottish athlete Rachel Hunter was equally impressive in the hammer, throwing 62.81m to take the title. Sophie Cook was a clear winner of the pole vault with a 4.00m clearance, while Birchfield teammate Greg Millar won the javelin by over six metres with 67.07m. Jamie Webb won the 800m by over two seconds in 1:48.35, while Calli Thackery returned from a year studying Stateside to win the 5000m in 16:22.64.